Here is the new online format for the ArtFRONT concert series @ Barking Legs Theater in Chattanooga, Tennesee. This page will serve as the direct link for the main Publicity source replacing the old “ArtFRONT.com/BarkingLegsPressRelease” page on ArtFRONT.com That older page will remain linked online as an archive of our concerts. Hopefully Bruce Kaplan of Barking Legs Theater and all other venue web-admins will be able to cut and paste the information herein into their visual editor windows on any WordPress website or any other site. More info will be posted here as this site develops. ~R. Show starts 8pm. Thursday May 29th. While all the recent successes in the Chattanooga local music scene are underway as long time players get their due recognition in events like the widely popular Road to Nightfall and local opening spots for major touring artists at venues like Track 29 & Rhythm & Brews, there is a current wave of artists honing their skills for launch into the sea of music that is originating right here in the scenic city. In collaboration with ArtFRONT Presentations, locally rooted actress and theatrical maven Jessie Knowles will be presenting a select lineup of new musical acts in the pristine sound quality of Barking Legs theater. Borrowing a stripped down Grand ol’ opry hosting style Jessie will be emceeing her first round of selected artists including The Tab Spencer group & Laramie Wyoming’s transplant to Chattanooga, Angela Rose. Featuring Jessie Knowles as the Porter Wagoner figure. She will be introducing the new acts and interspersing their sets with songs of her own. This is a premier event for the people who are REALLY paying attention to the new music up and coming out of Chattanooga. Jessie Knowles’ facebook artist page. Tab Spencer was the stage name of a Country songwriter in the 70’s from Nashville TN, and is survived by his son, Garrett Bourdon. The current group and upcoming EP release is a result of musicians from Chattanooga coming together around Garrett’s folk vision, which arose during and after his extensive stay in the fertile arena of Brooklyn NY’s contemporary artistic mecca. A veteran of Chattanooga’s music roundtable, Jack Kirton also serves as backing instrumentalist on guitar and pedal steel. Tab Spencer’s music is a combination of traditional country-bluegrass slowed down with lyrics set in a thoroughly modern setting. Bourdon’s voice is both simple and haunting, a Tennessee son with an urban memory whose lyrics hail from the south and the back porch. Angela Rose hails from Laramie, Wyoming, recently relocating to Chattanooga. She learned how to strum a guitar when she was 13 but her start in live music really began in 2011 when she and some buddies started their band Trash Canyon and the Honey Bees. They had a wild, whiskey-infused year in Laramie, playing a mixture of old-timey, country, and gypsy folk music. Trash Canyon split up in the summer of 2012 as it’s members moved onto bigger and better pursuits. Angela then started to focus more on writing her own songs. Her music is generally simple, three-chord songs with unapologetic lyrics about drinking, sleeping around, and traveling. Her influences range from classics like Hank Williams Sr., Townes Van Zandt, Kitty Wells, Loretta Lynn, Hazel and Alice to contemporary musicians like Hurray for the Riff Raff, Lydia Loveless, Those Darlins, Lucinda Williams and Gillian Welch. A COMPLETE HISTORY OF THE ARTFRONT CONCERT SERIES @ BARKING LEGS THEATER WITH LOTS OF PHOTOS VIDEO AND STREAMING AUDIO IS ARCHIVED ONLINE HERE! You can listen to WUTC FM 88.1’s live streaming broadcast HERE The station has copies of these artists recordings so call in a request at (423)265-9882 and let them know You’re interested in hearing more of these performers music in anticipation of their upcoming show @ Barking Legs. 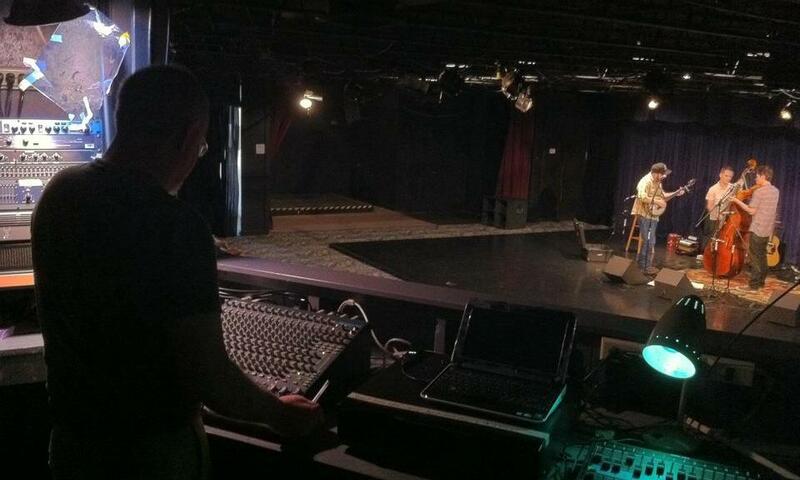 Barking Legs Theater is an, intimate music & performance showcase and listening room with excellent sound quality. It is located 1 mile south of McCallie school and is all ages friendly with smoking outside the building. A good selection of beer is served to patrons 21 & over with other beverages & snacks as well.